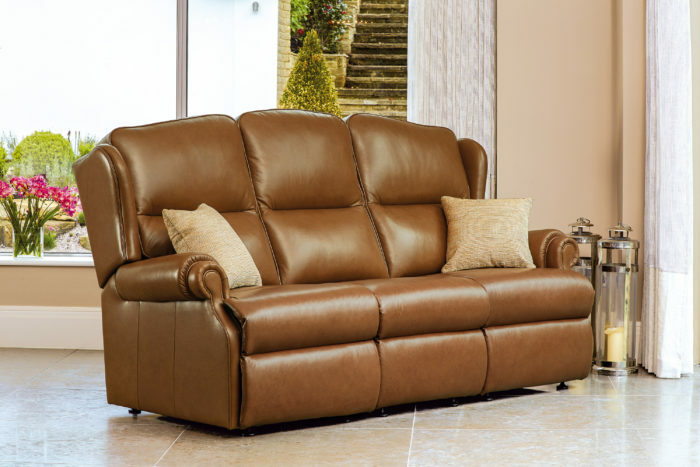 Here are some suggestions we feel could be useful when choosing your Fixed or Reclining Upholstery. You will probably want the furniture you buy to give you continued enjoyment over many years, so making the right choice at the outset is essential. TRY BEFORE YOU BUY – This is the piece of advice we feel strongest of all about. Because your furniture will in many cases get a lot of use it has to feel right for you. There is absolutely no substitute for trying out your likely choice in the retail store to make sure that you feel fully comfortable. Please remember that if you choose your upholstery from a website or brochure alone and you find that it is not right for you then neither the retail supplier nor the manufacturer are under any obligation to exchange it or to refund your money. How Long Do You Expect Your Upholstery To Last? Is Getting Out Of The Furniture An Issue For You? Are You Aware Of The Manufacturer's Upholstery Care Guidelines? Is There Anything Else Of Importance? If you expect it to last and to continue to look good over many years it is advisable to buy from a reputable, quality manufacturer. It is always worth asking the retailer’s experience of dealing with different manufacturers and whether in his/her opinion the furniture you are considering will stand the test of time. The wearability of the fabric is also crucial – your retailer can assist you in selecting a sufficiently hardwearing fabric, both through his/her own experience and also by referring to the information supplied with the manufacturer’s pattern books. 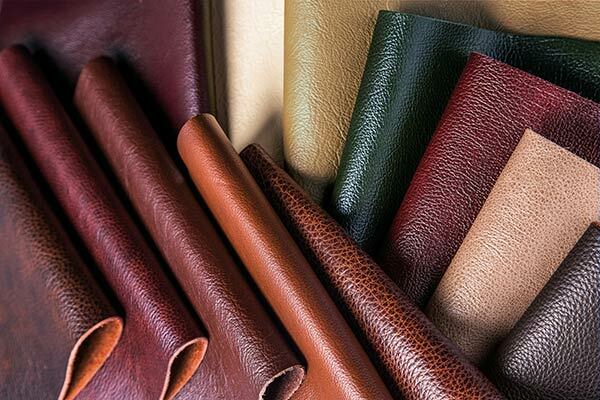 If you have young children or animals in the home (or visiting regularly) it may be prudent to choose a darker colour of fabric or leather as well as a hardwearing cover which is easier to keep clean. Please also remember that many fabrics and leathers will fade if subjected to direct sunlight, so it is also worth seeking guidance on this from your stockist. Sometimes an element of compromise is needed when furniture is more comfortable for one person than another in the same household. If this is the case it is worth checking if the manufacturer makes more than one size of Chair, Recliner or Settee in the same range as quite often Compact versions or larger versions are also offered. 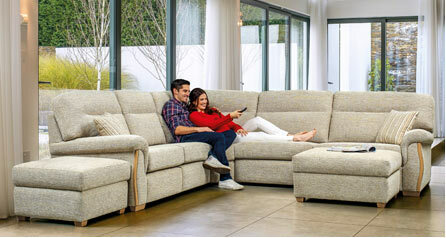 For example, the Sherborne range includes the popular Keswick and Milburn designs in three different sizes with four sizes of Recliner and Electric Riser Recliner and five other ranges – the Nevada, Lynton, Lynton Knuckle, Malvern and Ashford – in two different sizes with three sizes of Recliner and four sizes of Electric Riser Recliner. This is absolutely key – what suits one person may be extremely uncomfortable for another. In particular check the seating comfort and support over a prolonged period, whether the lower back (lumbar) support feels right for you and whether head support is adequate if this is required. On reclining furniture head support is essential and back comfort should also be checked in all the recline positions. 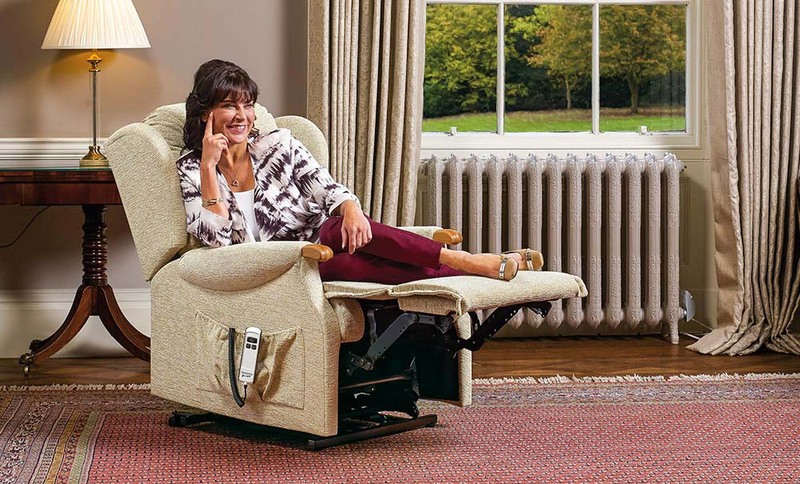 The Sherborne range of Electric Riser Recliners can be ordered with powered Adjustable Lumbar Support to ensure that the most comfortable position can be reached. Be aware that foam seat cushions often lose approximately 20% of their firmness in the first three months of use. When sitting in the furniture your feet should ideally be comfortably flat on the floor. If this can only be achieved by using an extra scatter cushion or back (lumbar) cushion make sure you are fully comfortable with this in place. As well as checking that the upholstery is not too big or too small, perhaps by spreading out sheets or towels to the dimensions of the furniture, don’t forget to check that the upholstery you have chosen will physically fit into your home. Narrow doorways or staircases sometimes present insurmountable problems with certain pieces of furniture unless you are prepared to have windows removed and reinstalled. 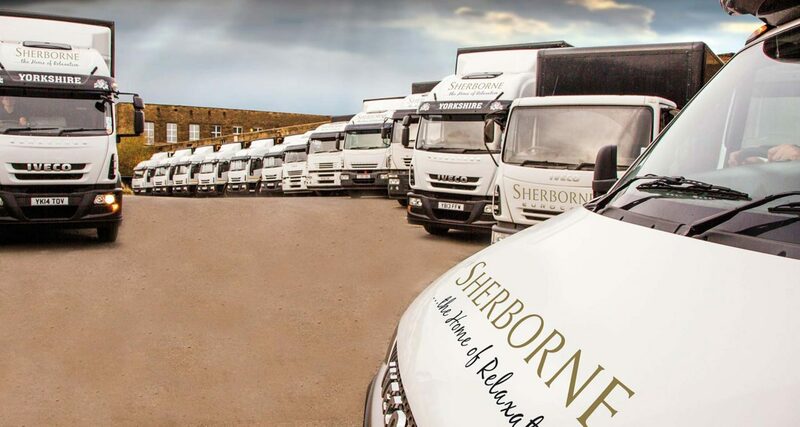 Sherborne is one of the few manufacturers to have taken these problems into account by supplying many of their Settees in sections and most of their Recliners and Reclining Settees with removable backs. If so, you may need to purchase a High Seat Chair or an Electric Riser Recliner. 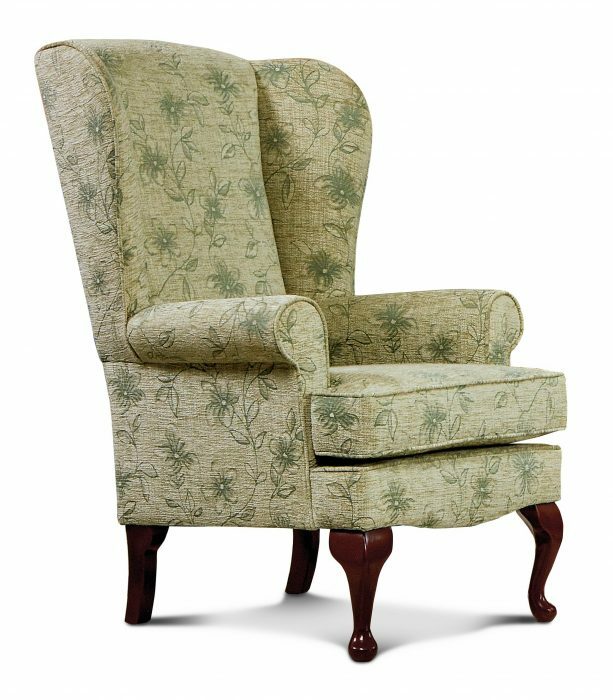 High Seat Chairs usually look similar to Fireside Chairs of the same style but have higher, flatter seat cushions and higher arms at the back to make getting in and out so much easier. 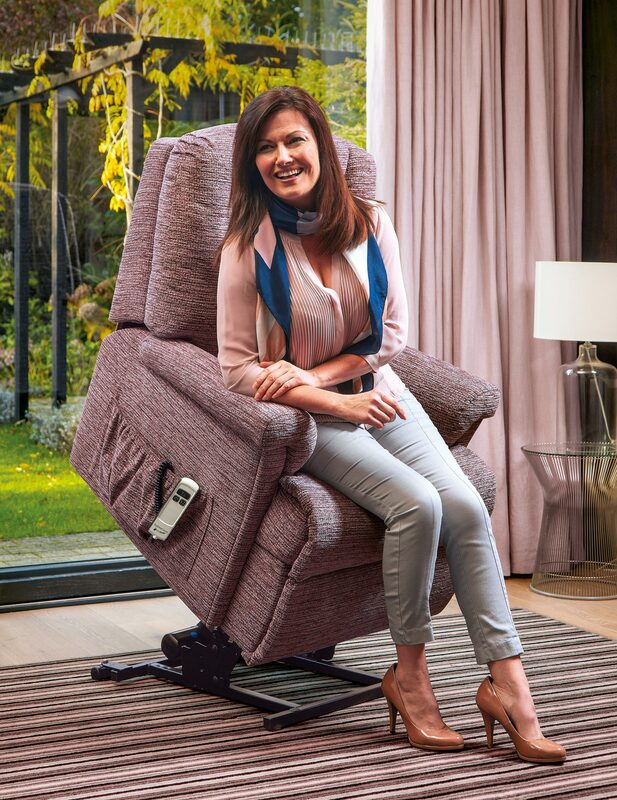 Electric Riser Recliners offer all the advantages of a conventional Recliner but are also fitted with a full electric lifting and lowering mechanism. To have this facility in their own home can make a huge difference to many people’s freedom and quality of life. An additional choice of single- or dual-motor operation is normally available, where the single-motor action has a 2- or 3-button handset and can often be positioned fairly close to a wall whereas the dual-motor mechanism has more handset buttons for independent control of backrest and footrest and usually offers a much flatter fully-reclined position for sleeping or total relaxation. 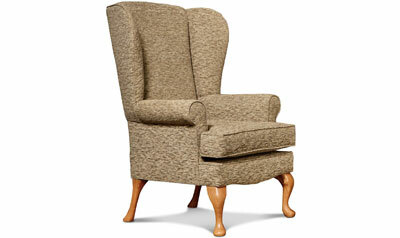 See DESIGN ADVANTAGES for more detail on the Sherborne range of Riser Recliners. Both High Seat Chairs and Electric Riser Recliners are often available with other matching pieces so that they look ‘in keeping’ with the rest of the room. Most people have difficulty remembering exact colours so there are three alternative ways to overcome this: firstly by taking a sample of curtain material, carpet, wallpaper or a cushion into the retailer when you visit; secondly by obtaining from the retailer a cutting of the fabrics or leathers you are considering so that you can see these in your home surroundings before making a decision; finally by using the product customisation tool on this website to show a likeness to the particular fabric or leather you are most interested in. This latter method is only a guide, however, as the above two ways are more accurate. If the lighting in your home is noticeably different from the lighting in the retailer’s showroom this can sometimes make colours look different, too. It is also worth considering the effect of having a lot of dark colour in a small room or confined space as this may make it appear to be smaller still. 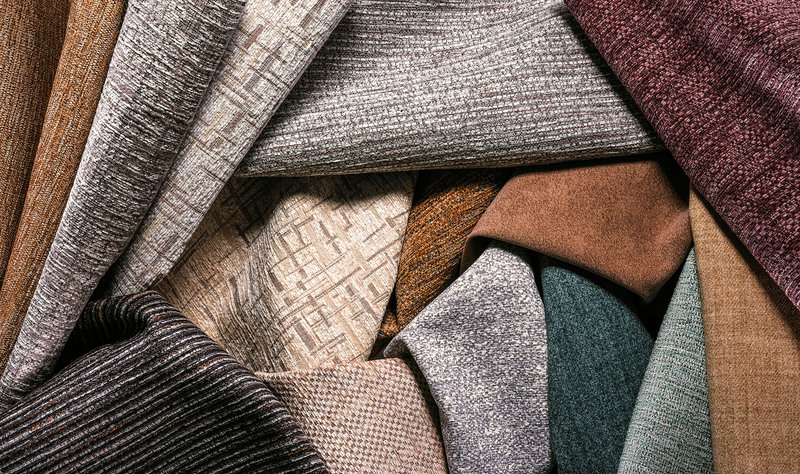 Most fabrics which are semi-plain or have small designs are not pattern-matched by the manufacturer – this includes all the fabrics in the Sherborne range, for example. Certain larger designs may or may not be pattern-matched so if this is important to you it is worth checking with the retailer. 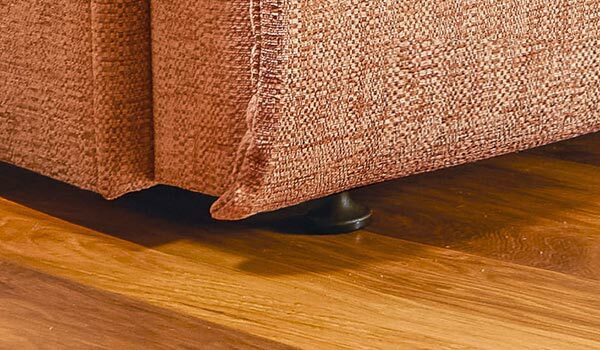 Most upholstery is supplied on castors or legs, but sometimes manufacturers like Sherborne also offer the option of glides on all non-legged products which are more practical than castors on solid flooring – this is because the furniture will not ‘run away’ when sat on and should not mark the floor. 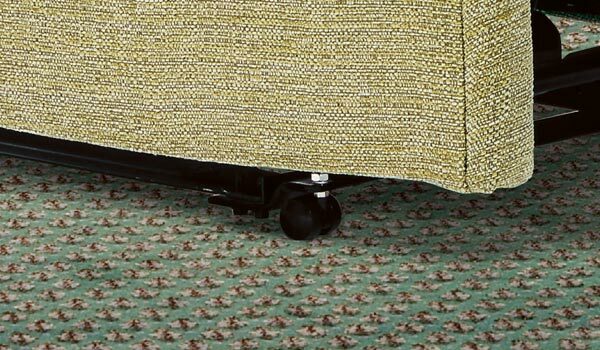 Some manufacturers do not even offer castors on their upholstery, however, which may cause manoeuvrability problems, particularly if the furniture is heavy. 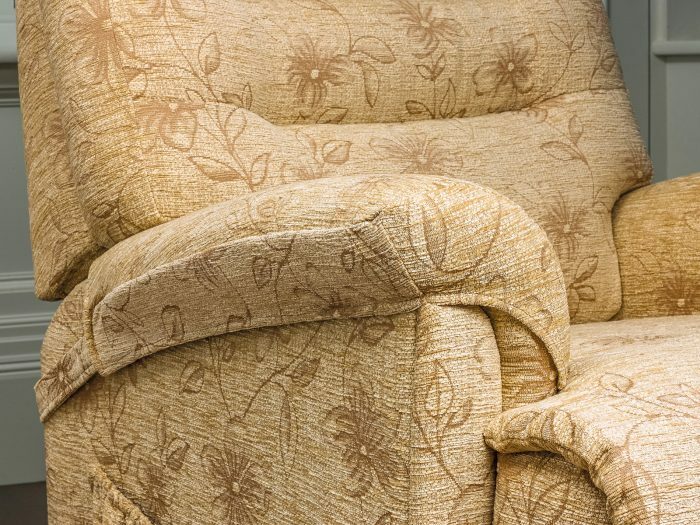 For all fabric upholstery, except where wooden arm fronts are used, it is worth checking if matching armcaps are available to prolong the wearability of vulnerable arm sections. Would you like any matching (or contrasting) accessories to go with your upholstery, such as a stool, head cushions to protect the fabric from hair oils or scatter cushions? If so, it is better to order these at the same time to ensure a colour match. Your retail stockist should be able to advise you how best to look after your upholstery and in many cases will refer you to a manufacturer’s own care guidelines. You need to make sure that you are comfortable with these in order to allow the upholstery to continue to look its best over a prolonged period. You may sometimes find that the retailer is prepared to sell you items from his shop floor or warehouse, but usually your upholstery will need to be ordered from the manufacturer. Don’t be surprised, therefore, if you are quoted a delivery time of several weeks as your furniture will normally be made to order. Hopefully, it will be worth the wait! Are there any other factors which are important to you and on which you need clarification from the retailer? If so, now is the time to ask.